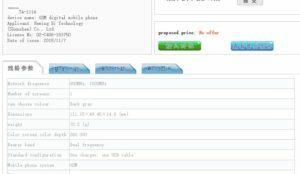 Another device being resurrected by the Finninsh smartphone maker? Unless you have been living under a rock for the past two years, you might be aware of the fact that HMD Global, the new licensee of Nokia branded smartphones and feature phones has been in a habit of resurrecting past Nokia feature phones for their MWC launch event. IN 2017, the company stole the spotlight from the other launches of the event, with their resurrected version of the famous Nokia 3310. The device helped HMD Global get the spotlight, at an event that saw the launch from existing heavyweights like the LG G6, Moto G5 Series among others. In fact, the device managed to outshine HMD’s Nokia branded smartphones, that made their debut at that event. The launch was the first launch for the new chapter of Nokia smartphones, and the first debut of the former mobile market head into the Android market space. The company continued this PR strategy in 2018 when it launched the resurrected version of the Nokia 8110, the device popularly known as the ‘Matrix’ phone. This time also, the nostalgia associated with the device gave the company the much-needed spotlight, though it wasn’t enough from getting eclipsed by the S9/ S9+ from Samsung. Now a new feature phone from Nokia has leaked into the wild and judging by the time of the leak and the past leaks, it might not be incorrect to assume that the company may be planning to pull off a similar trick for the third year in a row also, after all this year’s MWC would see the debut of the 10th anniversary Galaxy S series device, HMD Global may be planning to use the same strategy that helped them smog the limelight. The device has a codename of TA- 1114 and it has appeared on the TENAA, the Chinese agency and it has revealed the basic specs of the device. The device would be sporting a T9 keyboard, a 1.77- inch screen and 800 Ah battery and be powered by a 0.26 GHz MediaTek chipset. Along with t, the device would be having 4MB of internal storage.